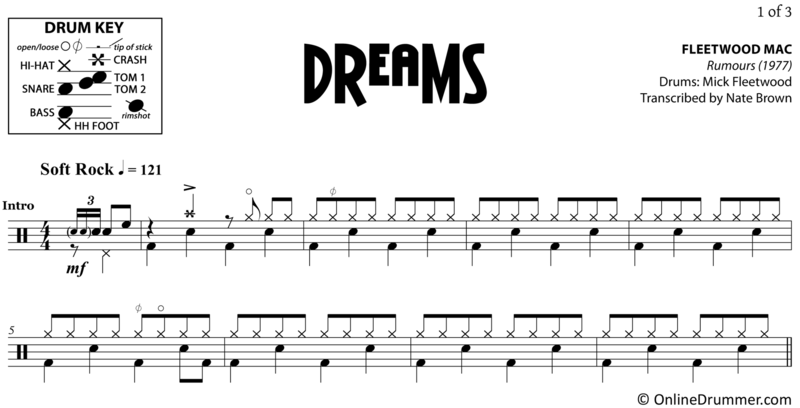 The full drum sheet music for “Dreams” by Fleetwood Mac from the album Rumours (1977). Dreams reached #1 in both US and Canada and is the only Fleetwood Mac song to reach the top of the charts. 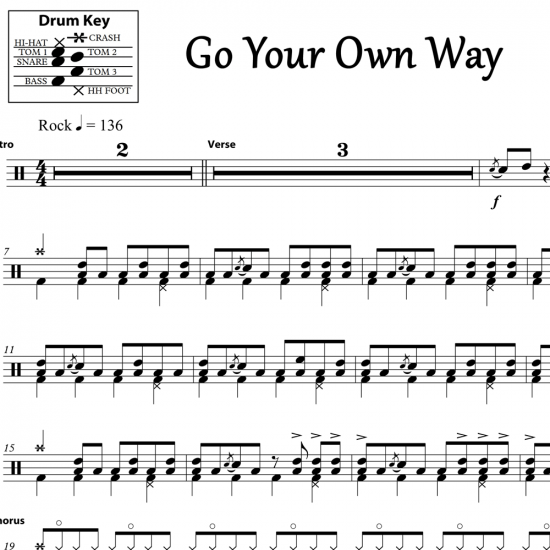 Mick Fleetwood plays a laid-back drum track with creatively-placed hi-hat articulations and effective drum fills. Mick uses the tip of the stick to produce a softer effect on the crash cymbal in some places throughout the song. 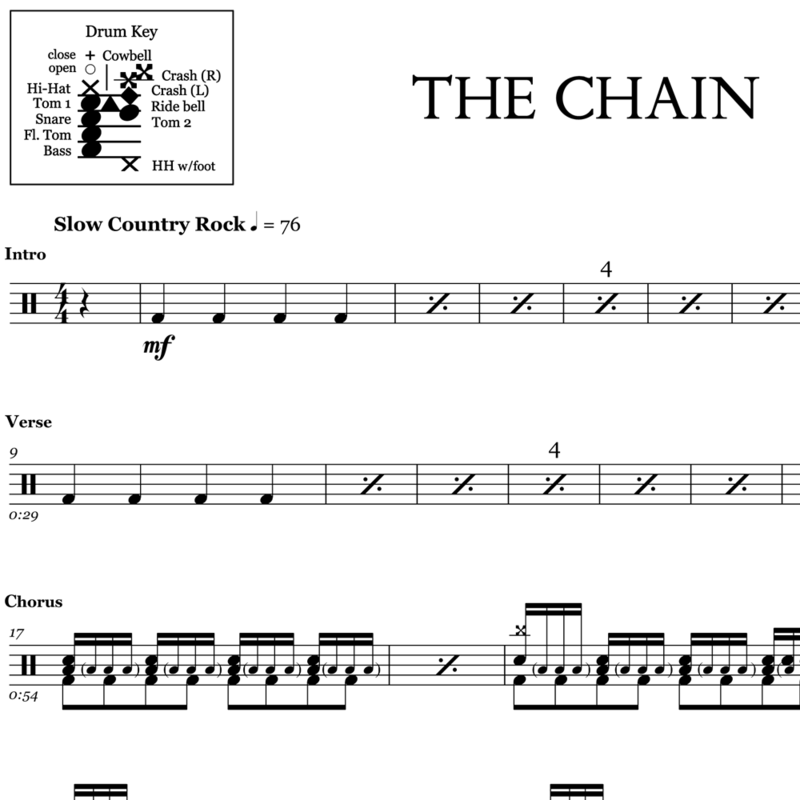 We’ve notated these with a tip of stick symbol above the notes, allowing you to reproduce Mick’s original vibe. 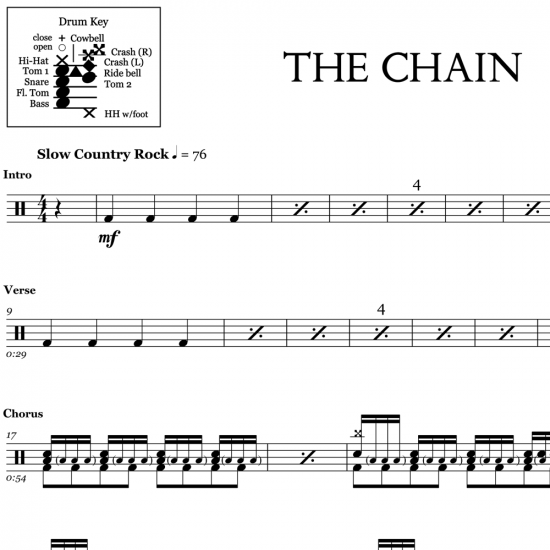 You will find the tip of stick indicator in the drum key for reference. 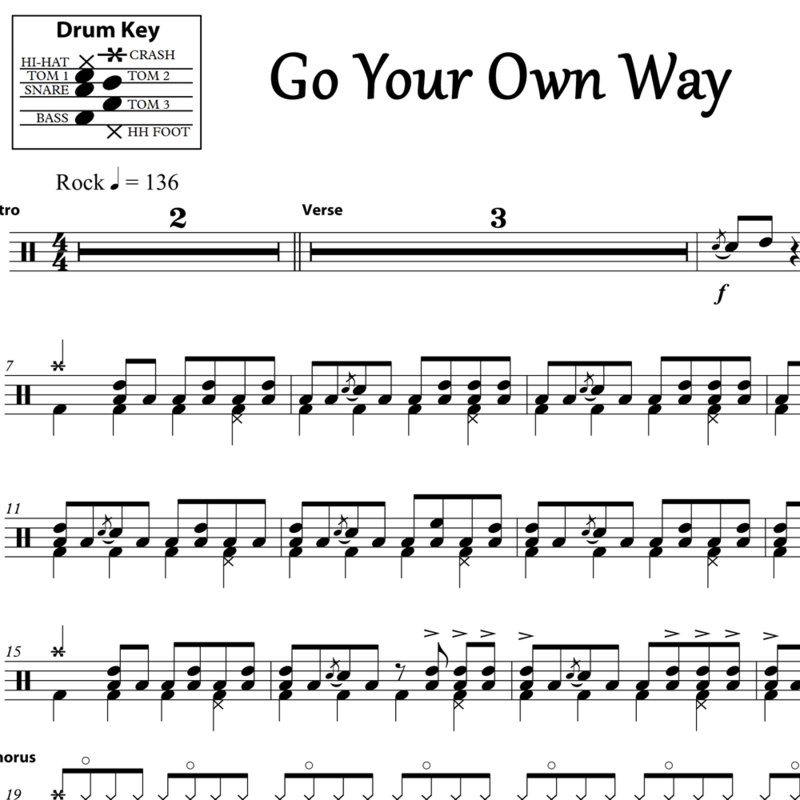 The full drum sheet music for "Go Your Own Way" by Fleetwood Mac from the album Rumours (1976).